I truly love to cook and will be adding my family favorites to this page on an irregular basis but will put out a post to check the page now and again. Check back once in a while and see what’s cooking at my house. If you’re looking for a specific recipe, complete a Control F on your computer, a blank box will pop up for you to enter the main ingredient you are looking for, click enter and searches will show for that specific item. You can also use the search box on the main page. Now, let’s cook!! Bread Pudding recipe was a failure because it wasn’t my mom’s old recipe!!! Looking for the replacement! Covered in wrap makes it hard to see but this is a carrot cake with caramel pecan frosting. Very moist cake! Combine and add eggs, oil, carrots, pineapple and reserved juice and beat until combined. Stir in walnuts. Pour into greased 13x9x2 baking dish and bake @ 350* 35 – 45 minutes (touch top of cake to make sure it is done. Cool and then frost with your favorite icing. Melt butter in a 9 x 13 casserole dish in oven while preparing mixture. Preheat oven to 350*. Mix together flour, sugar, egg, milk and vanilla until smooth and creamy. Pour into melted butter in casserole dish. Pour drained fruit into middle of batter. Bake for 35-45 minutes or golden brown on top. Batter will rise up over fruit making a top crust. Combine all ingredients thoroughly. Taste. Now is the time to add more mayo or spices to your taste. *My pickles are sweet with a little tang. This is my most favorite summer salad. Quick and simple! Bake your chicken breast or fry it to your taste with your favorite seasonings. When fully cooked, dice into bite size pieces. Place your salad mix in serving bowls ( I use large bowls because this makes a meal!) and top with chicken pieces, bacon bits and cheese. Top with favorite dressing and enjoy!! You can serve with some fresh homemade bread that has been buttered and lightly topped with garlic powder. YUM! When asparagus is in season we pick it every two days. I washed it really well and refrigerate it until ready to cook. We sell it for $1.50 per pound when it is growing really well. Lots of my friends grill it after brushing with olive oil lightly and seasoning with their favorite spices. We love ours steamed lightly. I get my salted water boiling and then put the stalks in a steaming basket over the boiling water about five minutes before we are ready to sit down to eat. We want it steamed but still crisp. I think heating it longer almost makes it slimy! It’s the best first food in the spring. Cream together sugar and shortening. Add eggs, pumpkin and soda. Mix in remaining ingredients; stir well. Drop by teaspoonfuls onto cookie sheet. Sprinkle with cinnamon sugar. Bake at 375* for 8-10 minutes. Combine flour, oats, brown sugar, and margarine & beat at low-speed until crumbly. Press into bottom of ungreased 13 x 9 baking pan. Bake for 15 minutes. Combine sugar, pumpkin, milk, eggs and spice and beat at medium speed for 1-2 minutes. Pour over baked crust and bake for 20 minutes. Combine in small bowl pecans and brown sugar. Sprinkle over filling and continue to bake 15 – 25 minutes or until knife inserted comes out clean. Cool completely in pan on wire rack before cutting into bars. You will think you’ve died and gone to heaven!! First you need a large pot and be ready to share this with family, friends and neighbors because it makes a big pot full! Homemade soup to warm the belly and the soul! It’s a one pot meal that everyone will enjoy and on cold winter days it’s the best comfort food you’ll ever want!! Sand tarts are much like a pecan sandie but rolled in confectioner’s sugar. Cream butter with mixer. Add sugar, pecans and flour, mixing well. Shape into 1 – 1 1/2 inch balls, crescents or fingers. Place on ungreased cookie sheet and bake 35 minutes. While slightly warm, roll in powdered sugar. Quick and very easy. Combine cocoanut, milk and vanilla in a large bowl. Whip egg whites and salt on high-speed with whisk attached to mixer until they form medium firm peaks. Carefully fold whites into the cocoanut mixture. Drop the batter by teaspoonfuls onto a sheet pan lined with parchment paper. Bake 25-30 minutes, until golden brown. Cool and store in airtight container. I personally love anything with cocoanut! Combine sugar, cocoa, milk and butter in heavy saucepan and boil for one minute. Remove from heat and stir in peanut butter and vanilla. Add quick oats to mixture and mix thoroughly with a heavy spoon. Drop by teaspoonful onto wax paper and let cool for 30 minutes. Store in airtight container. Sooooo good with a cold glass of milk!! I can eat a whole one all by myself!! Preheat oven 425*. Beat eggs lightly and stir in remaining ingredients (except crusts). Place pie shells in sturdy baking sheet covered with aluminum foil or place in a glass baking dish. Pour mixture into unbaked pie shells and carefully place in preheated oven. Bake 15 minutes and reduce temperature to 350* and continue baking another 40-45 minutes. Remove from oven and cook. Serve with whipped topping. This is soooo good!!! Combine eggs, raisins and vanilla and let stand one hour. Cream together butter & sugars. Add flour, salt, cinnamon, and soda; mix well. Blend in egg mixture, oatmeal and chopped nuts. Dough will be stiff. Drop by teaspoons on ungreased cookie sheet. ( You can roll into balls and flatten slightly with a fork.) Bake at 350* for 10 – 12 minutes or lightly browned. The trick to making these a soft cookie is not to over-bake. These are our favorite peanut butter cookies! Mix first four ingredients until well blended. Beat butter, peanut butter and sugars in large bowl with mixer until fluffy. Blend in eggs and vanilla. Gradually add flour mixture, beating well after each. Drop dough by tablespoon 2 inches apart on baking sheet sprayed with PAM. Use large fork and flatten each cookie to about 1/3 inch thick. ( I dip the fork in extra sugar to keep it from sticking to the cookie dough). Bake 8 – 10 minutes at 350* or until edges are golden brown. Over-baking will make the cookies hard. Cool on baking sheet for about 3-5 minutes. Remove to baking rack and when cool store in airtight container. Mix sugar, milk, corn syrup and butter in large saucepan. Bring to a rolling boil for 3 minutes. Remove from heat and add pecans, cocoanut and vanilla. Stir for about four minutes combining really well. Drop by teaspoonfuls on waxed paper. Let cool and set until firm. Remove from paper and store in airtight container. Enjoy! These are very sweet! Cream sugar & butter, Add eggs one at a time. Mix soda and buttermilk; add alternately with dry ingredients. Mix well. Add melted Hershey bars, syrup and vanilla. Bake at 350* in greased, floured tub pan. While baking make the frosting as follows: Boil for two minutes in a heavy saucepan, 1 cup sugar, 1/3 cup evaporated milk and 1/4 cup of butter. Remove from heat and add 3 oz. chocolate chips. Beat until slightly thickened and pour over cake. TOO DIE FOR!!! Very moist cake. Golden brown salmon cakes ready for a hot biscuit and tomato slice!! YUMM!! In large bowl, mix all ingredients really well. Get out your favorite skillet and melt one stick of butter in it and get hot but not burning butter. Form salmon mixture into 2 1/2″ patties about 1/4 inch thick and place in hot skillet. Cook until golden brown on one side and flip and brown that side. I usually flip them two or three times to make sure they’re cooked completely through. Serve! We love them on a hot biscuit with a slice of tomato. Mix all ingredients. Grease & wax paper a cookie sheet. Pour mixture into pan. Bake 15 min. at 375 degrees. Take out of oven and roll into thin linen towel for about 10 minutes. Unroll & spread in filling. After filling roll back up with end of roll facing down. Chill for at least an hour. I like for mine to chill overnight so the filling will absorb some of the flavors of the cake. You can dust the roll with confectioner’s sugar after it chills. Mix until very creamy and spread on unrolled cake. This meal is so easy and will serve a family 4-6. Spray your largest crockpot with PAM or other cooking spray. Peel and quarter 7 or 8 medium-sized potatoes and layer in the bottom of the crockpot. Salt to taste. Cut a medium head of white cabbage into chunks about the size of the quartered potatoes and layer on top of potatoes. Salt to taste. Clean a bag of baby carrots or peel and cut large carrots into 1″ chunks and layer on top of the cabbage. Salt to taste. Clean and slice a large onion and layer in rings on top of the carrots. Open a package of polska kielbasa and cut in 1 1/2″ chunks and layer on top of the onions. Pour 1/4 cup of water over everything in the crockpot. Cover and cook on low about six hours. This will make a big meal. (Warning: If you use red cabbage, all of the vegetables will turn purple or gray looking. It’ll still taste wonderful but it’ll look funky!) Bear in mind that I used salt to season but think some of the ready-mix spices would be great on it as well. I love using Mrs. Dash to season with. This is one of our favorites at home and it doesn’t heat up the kitchen and everyone loves it. I have a wonderful little metal contraption that I set the canned drink in and then sit the chicken over the can. It’s well-balanced and keeps the chicken up off the grill to cook. First, light your grill at its highest temperature. While its heating up, rub your chicken generously with the olive oil. Sprinkle the spices inside and pat all over the outside of the bird. Wrap aluminum foil over the tips of the wings and the tip of the legs to keep from burning (they’re the first thing to burn). Set the chicken over the soda can on the rack I mentioned earlier . Turn the grill down as low as you can get it and place the bird in the center of the heat. Close the grill and about every 15 – 20 minutes check and rotate. The process will take 1 1/2 – 2 hours to cook and when the wing will pull away easily, it’s done. Mix all ingredients together until frothy. While you’re doing this get your skillet ready by heating on medium and melt 1 stick of margarine. Dip slices of the bread in the egg mixture coating both sides well and slide into melted butter in skillet. Brown on both sides and move to warmed platter (warm mine in the microwave about 20 seconds). Serve with fresh maple syrup and a tall glass of cold milk!! Good stuff! Add eggs to water and then add vinegar. Boil for 15 – 20 minutes. Cool and peel. Cut in half lengthwise, empty cooked/solid yolk into separate container. Put whites on serving platter. Mix all together until you have the consistency you want for the eggs. Using a table-spoon, fill the egg whites. Sprinkle lightly with paprika for flavor and color. Cool and serve. My family gorges themselves on these beauties! Drain all vegetables and mix together in large bowl. Add celery and onions. Mix together in small bowl the dressing and dip mix, thoroughly. Pour over the vegetables and store in fridge for at least four hours in covered bowl. This is such a filling dish and got a little zest! I could eat it all myself! I usually make a double dose of this recipe because we like it so much, so my ingredients are exactly double. Split the ingredients in half to fit a 9 x 9 Pyrex dish. The best part about this dish is you can mix it all up in the same bowl you prepare it in if you want. Pour boiling water over jello and stir until completely dissolved. Let cool at least 30 minutes and add the pineapple and stir well. This helps cool the jello mixture too. Stir in cottage cheese, mayonnaise and pecan pieces. Dump into your deepest bowl or large Pyrex baking dish. Place in fridge for several hours until set or overnight. You’re going to love it!! Melt butter and oil together in skillet at medium heat. Add onions and sauté. Coat turkey or tenderloin slices in flour and drop into hot skillet of sautéed onions. Brown on both side but watch carefully and don’t burn. I usually turn the meat a three or four times. Pour enough water over meat to cover and let simmer for about 15 – 20 minutes watching that the water doesn’t completely evaporate. Place slices of meat in deep bowl and pour leftover gravy over meat and serve. Wonderful with mashed potatoes and green beans!! Pour beans into a large casserole dish and set aside. While browning the meat, add the diced onion and green peppers. When browned nicely add the Worcestershire and mustard and stir. Pour over the beans and stir well. Place strips of bacon over the bean mixture. Place in 350* oven and heat for about 30-45 minutes or until bacon is cooked and crisp but not burnt. Remove from oven and serve. Great with steaks or hotdogs and hamburgers. Mix broccoli with onion, mayonnaise, eggs, and soup. Pour into a greased 13x9x2 greased casserole dish. Cover with grated cheese. Melt the ½ stick of butter and mix with the stuffing mix. Sprinkle over the casserole. Bake at 350* for 45 minutes and serve. This is my personal favorite at holiday meals. Combine all ingredients and beat well. Pour into pie shell which has been placed on a pizza pan or baking pan covered with foil (save on clean up later, see my pan below). Place in oven and bake at 425* for ten minutes and reduce heat to 350* and bake 35-40 minutes or crust is golden brown and filling is set. Remove from oven, cool and serve. YUMMY!! I usually make two batches at a time because we love these things. Cream butter, sugar and oil until smooth. Add eggs, one at a time, beating well after each. Combine flour and baking powder. Alternate with milk and beat well after each addition. Add flavoring and stir well. Pour into greased and floured tube or bundt pan. Bake one hour in preheated 350* oven or golden brown. Let cool and turn on to a cake plate. I wrap mine in plastic wrap to keep moist but it usually doesn’t last long enough to dry out. Hershey bar cake?! Have to try that! We need your bread pudding recipe!!! How do you make these recipes and still loose weight!!! Small portions! Walk, walk, walk!! Bread pudding recipe on the next issue of the “cooking page”! You are most welcome. I have to make one tonight. Eddie can’t go for more than a couple days without poundcake. He loves to crumble it up in chunks in a tall glass and pour milk over it. My family has enjoyed the Lime Jell-O salad. 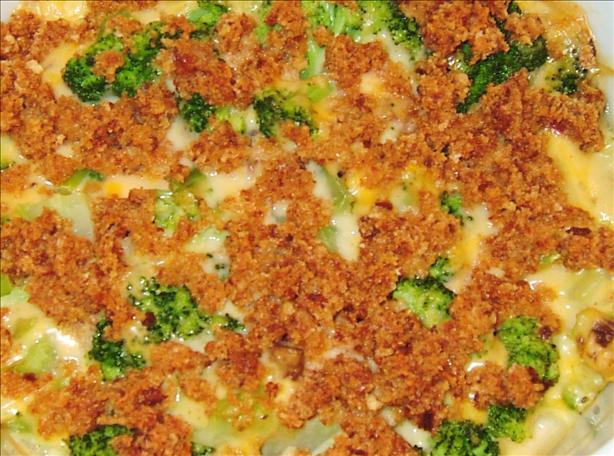 I’m proposing that my wife try the broccoli casserole next. I appreciate your recipes. Thank you for posting them. I think for now what i’ll do is send out a new post when I add a recipe and I’ll put the recipe right under the picture I have on the page now. I’ll keep searching for a way to add posts to the page!